You knew this was a movie right? John Candy, Steve Martin….a fantastic movie I might add. It’s also this week’s challenge theme at Cardz4Guyz! For my card, I broke out some oldies but goodies. I found this DP in my drawer and I knew right away it would be perfect for this challenge…I hadn’t even opened it yet (or the matching stamps). As for the dies, I was cleaning out some dies/embossing folders and found this little gem. I’m not even sure again, if I have ever used it! Now, time for you to head over to the C4G blog and play along in this challenge with us. 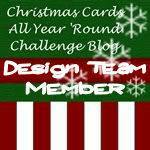 Check out what the other design team members have created to inspire you as well, and then get crafty! PS: as you read this I am still on the beach in Cuba having a little R&R time with the fam 🙂 Sunny greetings!